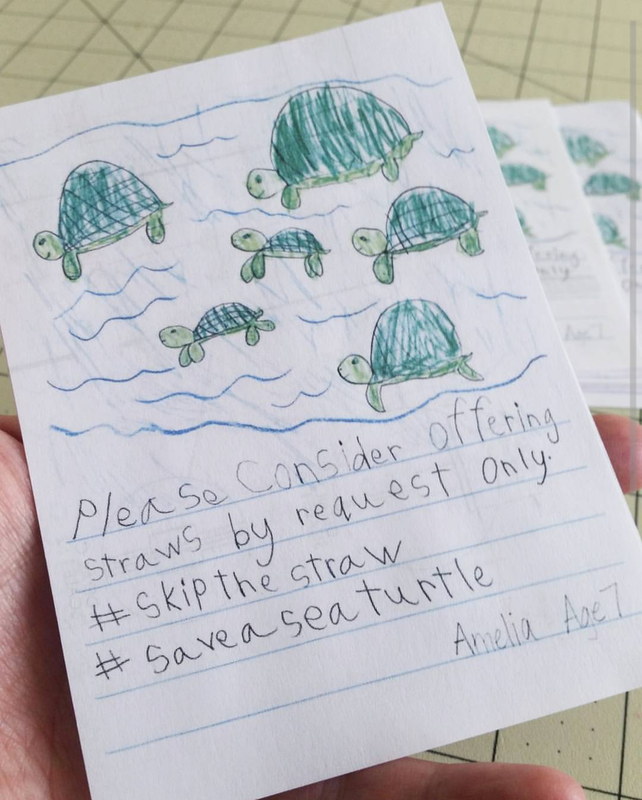 My 7 year old daughter wanted to create a flier to take to restaurants that offer single-use plastic straws. She came up with this design and we printed them on recycled paper to leave behind with our check. It's a great way to raise awareness about straws without being too preachy about it. Make sure to tell your server in advance that you do not want a straw! Feel free to print some for yourself to take to your local restaurants! Available as a free downloadable PDF with 4 per 8.5" x 11" sheet. Please ask permission for any other use. Download PDF "Straws By Request Only"